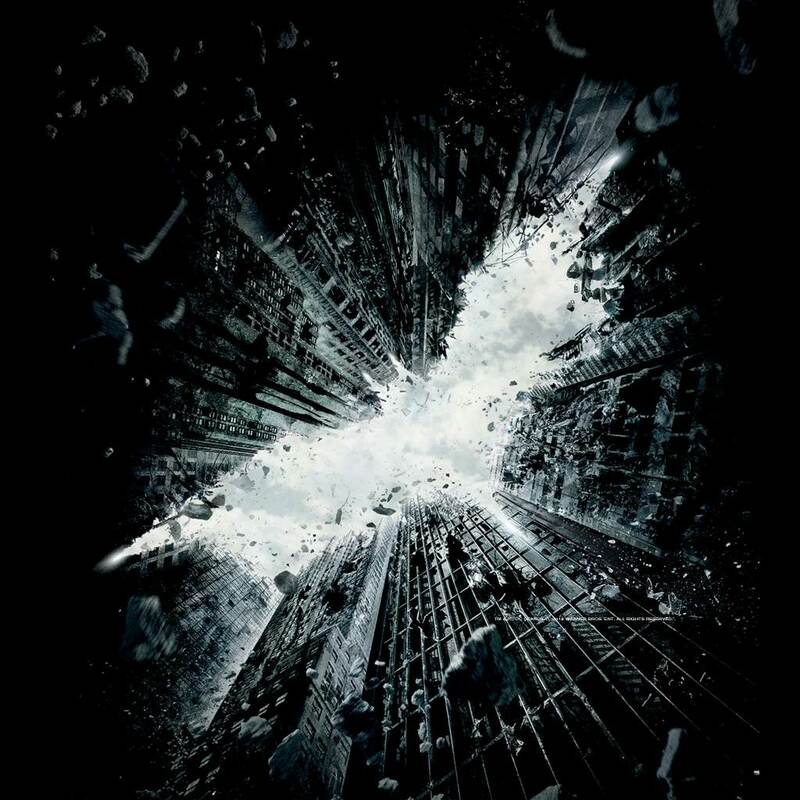 Hans Zimmer composed the music for “The Dark Knight Rises.” Figuring out how to buy the complete album has almost as many twists and turns as the movie! I saw “The Dark Knight Rises” on opening weekend. All two hours and forty-five minutes. Yes, I’m on record saying that as the parent of a toddler, I don’t go to the movies much. But, hey, daddy, sometimes you’ve got to find a way. Right? This is not a review of the trilogy’s finale, but I’ll simply say I loved it. Not perfect, but if you’ve seen the other two, you must see this one. So one of my little vices is collecting good movie soundtracks. Nobody I know really understands this, but for those of you out there who are secretly listening to John Williams’ music, rock on! Hans Zimmer is also one of the popular composers big films in need of big music turn to these days. So after seeing “The Dark Knight Rises,” I decided I enjoyed the music enough to buy the soundtrack, even though it was inevitably derivative of the first two films. I immediately went to iTunes to easily download the music, but I found myself unexpectedly faced with a choice. I could buy the basic soundtrack for $11.99 or I could purchase the Deluxe Edition with two bonus tracks for two dollars more. I didn’t mind spending a couple bucks more, but I decided to do some research to see what the Batman’s marketing machine was up to. This next step made my decision even more complicated. I discovered that the CD version of the soundtrack had a different set of bonus tracks than the iTunes version. Specifically, one of the extra music tracks was shared by both iTunes and the CD, and the other two were different. So if I wanted to own all if the music, I would seemingly have to buy the album twice. I previewed the tracks in question, and decided to go with the CD (marketed as the ‘Enhanced CD’), which I bought on Amazon for $10. But the battiness doesn’t end there. When the CD came in, I popped it into my iMac to rip the tracks into iTunes. All good. But where were the bonus tracks? I’m instructed to go to a Warner Brothers website (actually WaterTower Music) and log in with an email address and my birthday. Now that’s a little demanding, don’t you think? I stopped giving my email address away for free a long time ago. So I decided to give them my ‘special email address,’ where marketing emails go to die. And after this headache-filled process that took just short of forever, I owned most of “The Dark Knight Rises” soundtrack. So why all the smoke and mirrors? When I went through this herculean music selection process on the Monday after opening weekend, it should have been a snap. What threw me down the tech rabbit hole once again was the fact that I didn’t have the option buy the CD and then purchase the iTunes bonus tracks a la carte. But when I took another look at iTunes today, I noticed the entire Deluxe Edition was available for individual track download. They changed they’re minds… or did they? They totally took advantage of us early adopters! I must offer a slight disclaimer here that somehow I might have missed the a la carte option the first time… but I really don’t think so. How Many Frickin Music Tracks Are There? So what’s up with the five bonus music tracks spread across two sales channels? There’s also a sixth bonus track called “All Out War” that was made available to fans who pre-bought their movie tickets at movietickets.com. I guess it’s just another a way for WaterTower Music to maximize technology to squeeze a little more green out of silly fans like me. All I wanted was to legitimately and legally buy the music from a movie. I’ve now downloaded the extra two tracks from iTunes. After listening to them, I’m having buyer’s remorse. (There was a reason I didn’t go with the iTunes Deluxe Edition. But it’s done. I’m calling it a day. Unlike most of my posts that attempt to finish with a light twist, this one ends on a super heavy note. Unhappily, there is one more music track that everyone needs to download now. It’s called ‘Aurora,’ and Hans Zimmer recorded it in the days following the Aurora, Colorado tragedy. You can download it on iTunes or MoonToast. Hey Barrett – a quick suggestion / idea – from one machead to another – if you are familiar with Grooveshark – then download a ‘sneaky’ lil program called SwingFish – its a way of downloading music as mp3’s onto your Mac if you are so inclined. I lost all my music when I swapped out my ipod drive – so this is a quick and easy way of getting my music back, since alot of my CDs were left in CT when I moved to FL. Let me know if you have any questions about the program.